Lip scrubs are my favorite way to exfoliate my lips, they are quick and easy to use, not to mention how delicious they could be. Lush lip scrubs definitely take my fancy and they are hands down my favorites! They remove every last bit of dead skin and the oils in them nourish the lips and make them super soft and smooth. Just rub some of the product onto your dry lips and enjoy the yummy flavor (the Popcorn one is especially delicious) and the instant result. Simples. 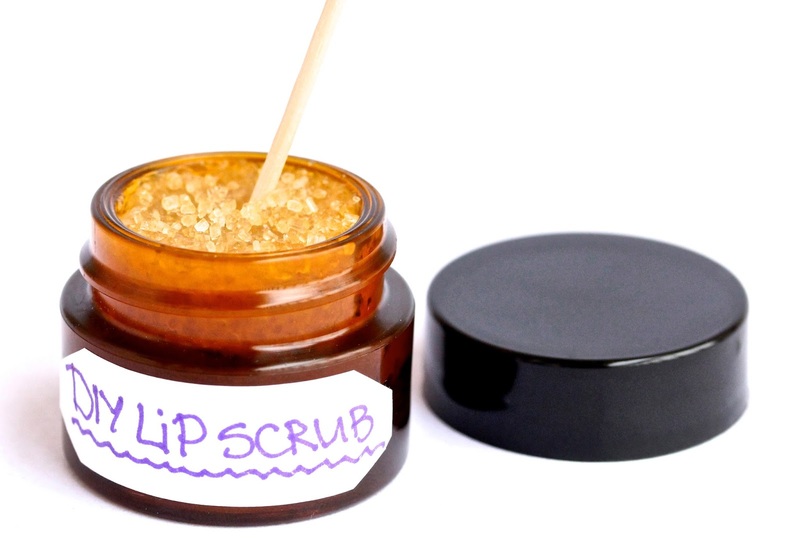 If you are not into the whole lip scrub thing and you fancy some at-home action – read on. Before I discovered the magic of the lip exfoliators I used to use my mum’s technique for soft lips. It involves a washcloth, a toothbrush, some hot water and two lip balms. 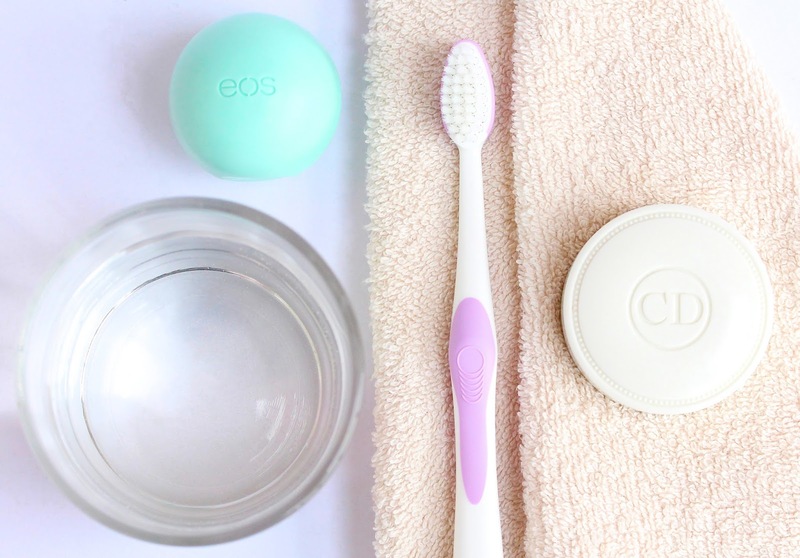 The first thing you need to do is apply some solid lip balm to serve as barrier and I like to use my EOS lip balm in Sweet Mint (here). Then take your washcloth and dunk it into a glass of hot water. Squeeze out the excess and make sure the cloth is steaming but it’s not too hot otherwise you may burn your lips (been there, done that and it’s not pleasant - thrust me). Place the washcloth over your lips and hold it until it start to cool down. The heat will help soften the dead skin and will prep the lips for the next step, which is the actual exfoliation. Take a softer toothbrush and start rubbing it over your lips. This will remove all flakes and you will be left with uber soft, smooth lips. Just make sure you don’t rub too much as they might get raw and sore. After you’re done brushing, take your favorite lip balm and apply generously. I adore the Dior Crème de Rose (here) balm as it hydrates and nourishes the lips wonderfully and also smells divine. Pucker up lovelies, this is all you need for achieving the perfect soft, smooth lips! Rub some lip scrub or gently brush your lips, pop on some lip balm and embrace your new, irresistibly plump pout! Have you tried any of these lip-exfoliating techniques? 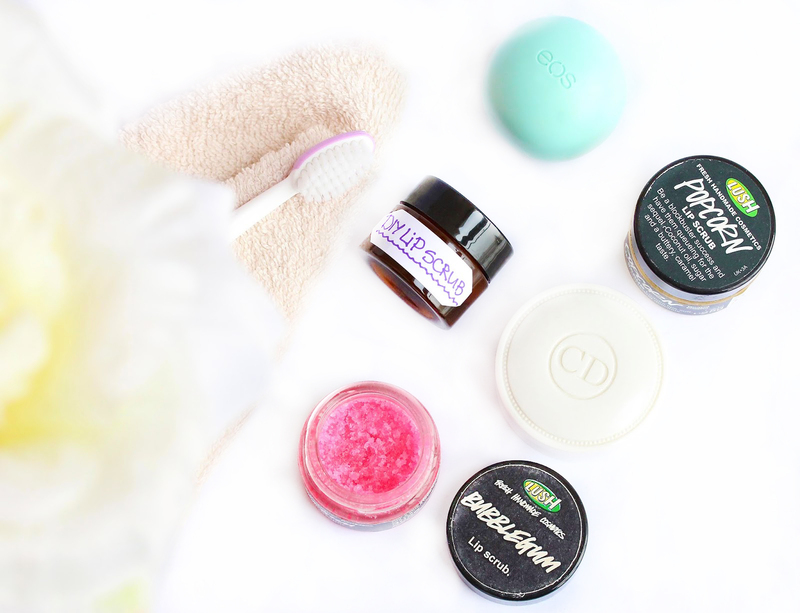 Which is your favorite way to exfoliate your lips? Great and helpful post as usual! :) I get really chapped and dry lips during winter, and I found the scrubs help it and now I'm so obsessed with lip scrubs :) I've been eyeing on the LUSH one! i love lush's santa's lip scrub its gorgeous ! I love this DIY lip scrub! Definitely worth to try, thanks! Hola!! nunca he hecho un exfoliante labial en casa, aunque sería genial! Yo tengo de lUSH el BubbleGum y Santas! Love the pictures, they're so cute!! I've never used a lip scrub as I don't suffer with dry lips BUT I think if I made the one you did I'd just end up eating it anyway sounds so lovely! Lip scrubs are lovely and I recently picked up my first lip scrub from LUSH. I got the Santa's lip scrub and it smells great! Love the pictures and the diy scrub is such a good idea! Love Lush products! And that pink scrub looks so cute. Fabulous post. I love the lip scrub from Bliss - if you haven't tried it you must! 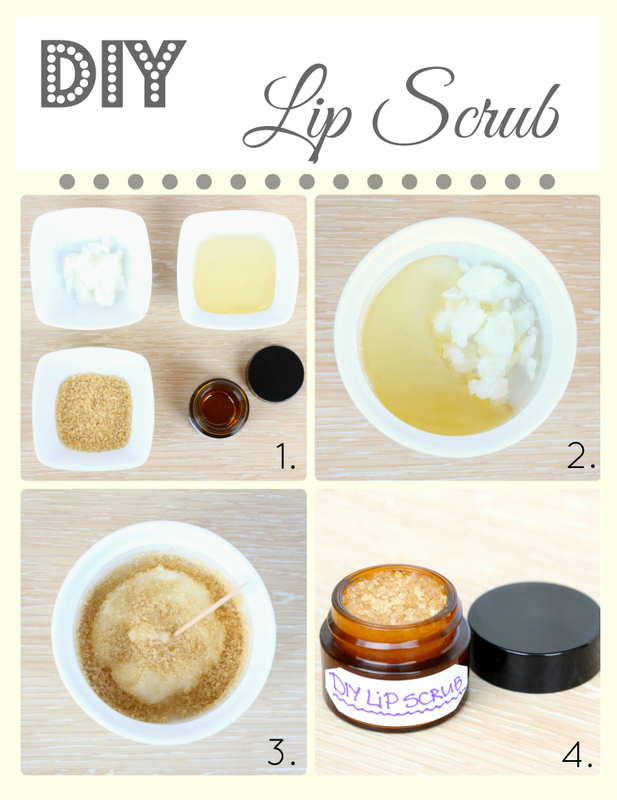 I am mostly going to try the DIY lip scrub! My lips always mess up my lip sticks. 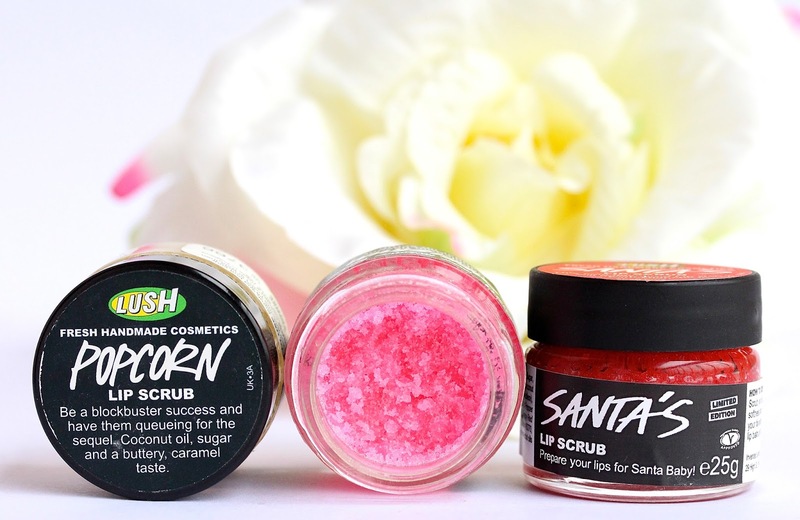 I've heard such great things about the Lush lip scrubs, but I still have never boughten one! I have dry lips all year around, and they are especially bad in the winter! I love LUSH's Popcorn lip scrub... just used it today, in fact! YUM. I love my Lush Bubblegum Lip Scrub, it makes my lips feel like silk! Definitely going to try the DIY lip scrub, I have constantly dry lips. I've also tried the popcorn and bubblegum Lush lip scrubs and I preferred the bubblegum but they both taste so nice! Bubblegum lip scrub is holy grail for me! Really want the try the lip scrubs from Lush! I have really dry lips and always on the hunt for a good scrub :) this home made one looks really great!!! I love Lush's lip scrub. I also use the toothbrush technique. I've never made my own lip scrub, but I like to make my own body scrub.